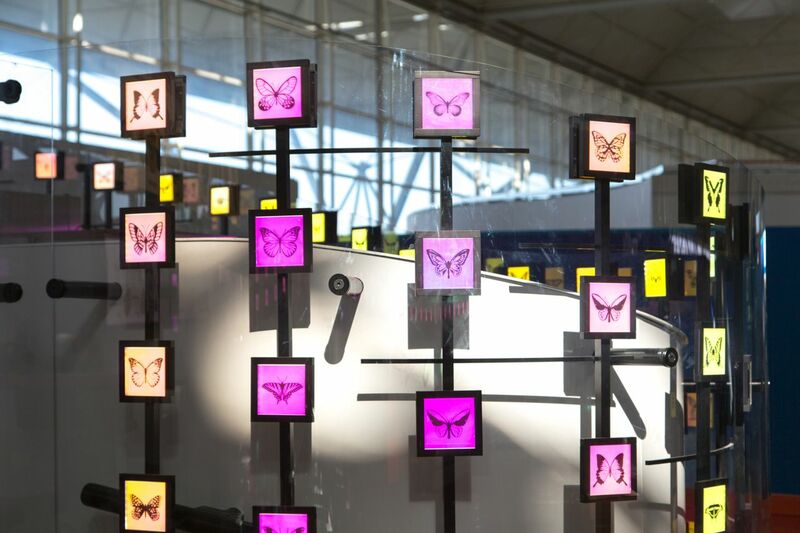 Inspired by the themes of butterflies and light, Cinimod Studio designed an array of illuminated LED panels that encompass the location in an organic flowing surface of colour and form. 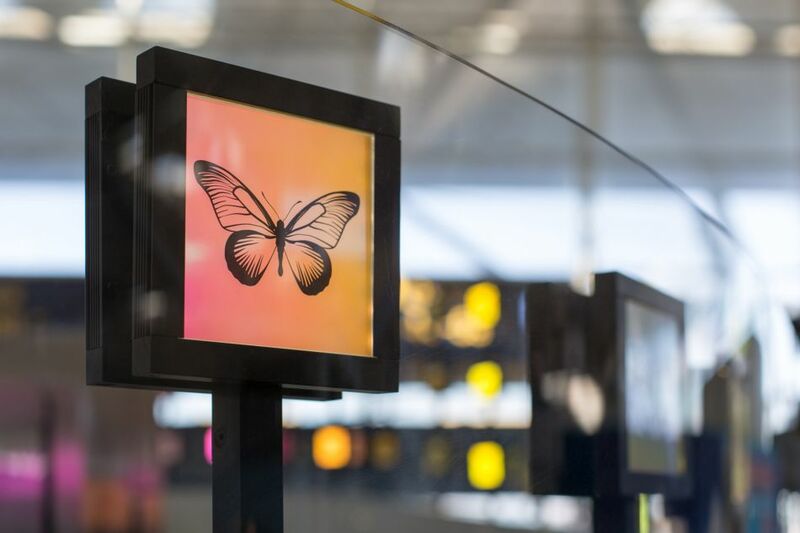 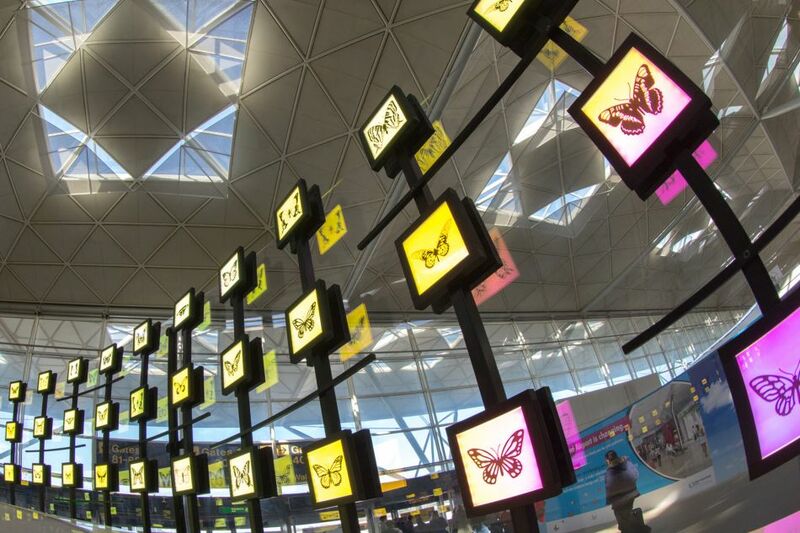 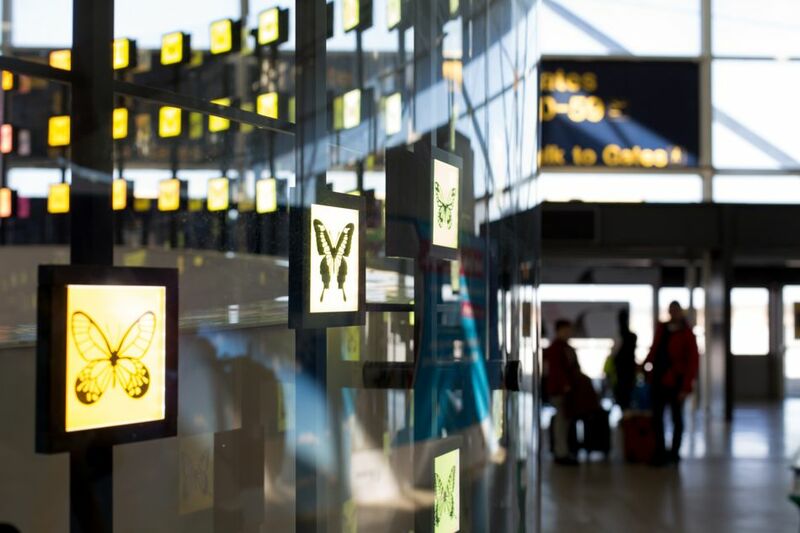 The array of 643 light panels were custom designed by Cinimod, with each containing a laminated build-up of white LEDs, a diffuser, dichroic film and masks of different species of butterfly. 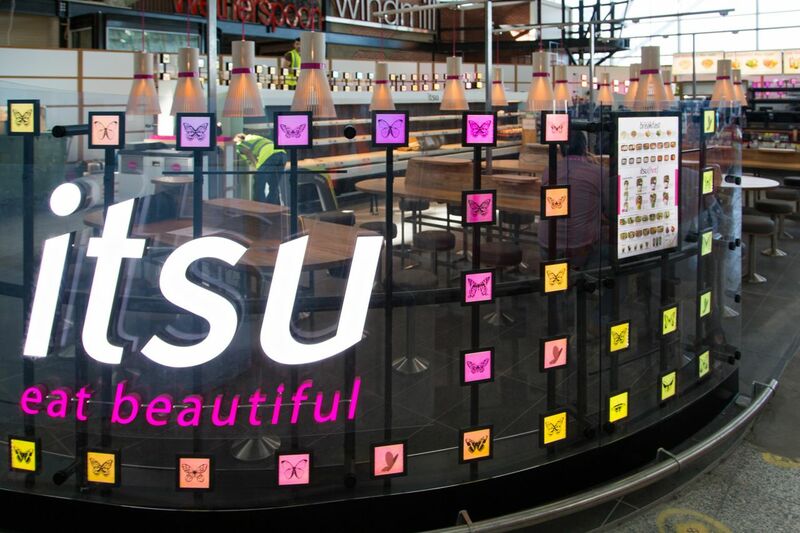 Together they create a mesmerising shimmer of colour that changes from yellow to pink as one moves around the kiosk. 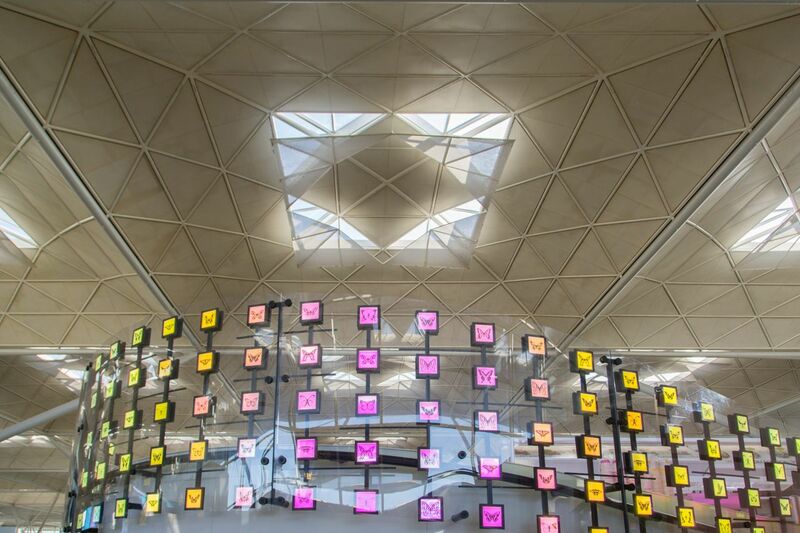 An almost invisible sculpted layer of polycarbonate wraps in front of the panels creating a smooth finish to touch, yet a layered texture to view that reflects the bustling surrounding airport. 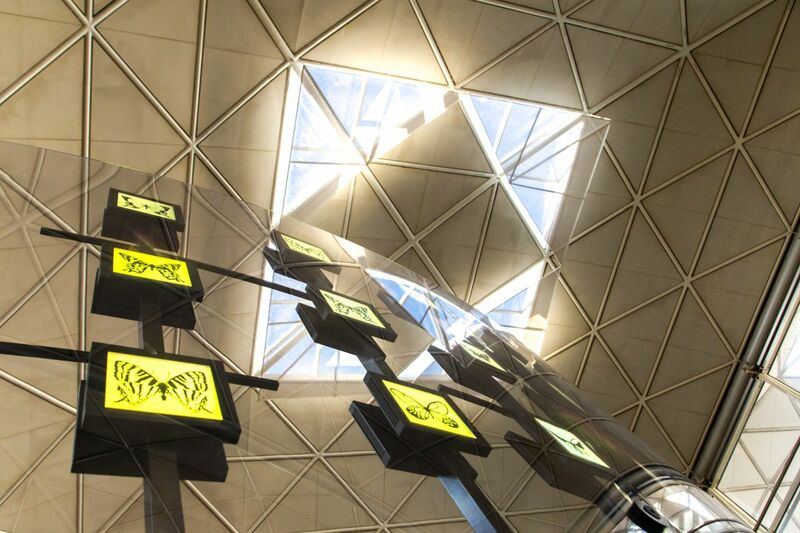 The underpinning black aluminium structure itself is inspired by the Japanese Shoji grids and frameworks.